City design or urban design as it is been called is the careful thought process of designing and shaping the physical features of cities, towns and villages with the view of creating economies of scale, agglomeration and beauty. Planning of cities existed from early civilization period to modern days. However, larger cities were only found when the human population had increased. The cities did not reproduce themselves or change itself rather it occurred as a result of increasing human population and the need for shelter. As population increases, complexities in settlements also increased. this resulted in innovative designs, towards curtailing activities within the limited space available as observed in America, Europe, Asia and Africa. The properties of cities changes with the size and dimension. For instance, many developing countries are still trying to imagine a city design that befits their characteristics with rising population even though the cities already have a style and pattern of growth. Unlike the smaller city size and designs of European countries, the population in developing countries has been on the increase with little or no consideration of existing and growing population in terms of infrastructural needs. Estimated figures show that Lagos has a population of over 18 million inhabitants, Dakar has 22 million inhabitants New Delhi has over 22 million inhabitants. These cities are regarded as megacities by the Rockefeller foundation based on the population size. The designs carefully agree with the population wildly roaming the city in pursuit of daily survival. Increasing rate of urbanisation in Nigeria calls for a rapid response from planners on the need to guide and design livable environment in the society. “The World Population Prospects: The 2017 Revision, published by the UN Department of Economic and Social Affairs, provides a comprehensive review of global demographic trends and prospects for the future. The information is essential to guide policies aimed at achieving the new Sustainable Development Goals” (UNDESA, 2017). The new projections show that China (with 1.4 billion inhabitants) and India (1.3 billion inhabitants) remain the two most populated countries, comprising 19% and 18% of the total global population. In roughly seven years, or around 2025, the population of India is expected to surpass that of China. In addition, among the ten largest countries worldwide, Nigeria is growing the most rapidly. Currently, the world’s 7th largest, the population of Nigeria is projected to surpass that of the United States and become the third largest country in the world shortly before 2050. Therefore, the current state of urban design across the country needs urgent attention in cities and its environs. The natural cities evolved long ago while the artificial cities are built up designed and planned cities with a definite design plan. As observed in the concept of Ebenezer Howard garden city design. The underlying ideas of Howard’s concept were to decongest the decaying inner city centre through decentralisation of industrial activities and the new towns built around them for workers. Howard further explains in detail how the new town has to be built including the financial cost. He proposed a population of 30,000 in the new towns surrounded by green belts/ green areas accessible to everyone. The town should have a land area of 6000 hectares with 5000 hectares reserved as green belt. The green belt was to provide land for recreational land use and agriculture. It was also to contain the city growth, limiting development at the urban fringes. As far as natural cities are concerned, Nigeria has predominantly complex settlements characterised by rural and urban features. Many cities in Nigeria are organically spontaneous development without critical designs. Where designs are available, the growth is overtaken by increasing population leading to distorted plans as observed in Lokoja. Nigerians like many Africans have a close relationship with the land. It is where the ceremonies take place. e.g the Zaure. A zaure is a small round or rectangular spacious opening design attached at the entrance to the main house where family events/occasions take place. The concept of the ‘Zaure’ in the north cannot be taken away from housing designs. Everyone is attached to the land and will require that little space for events and gatherings. any building designed without a zaure automatically displace family members. Nigerian cities design are complementary to the culture and practices of citizens across the country. Contemporary city designs in the likes of Ebenezer Howard and Le Corbusier in modern Nigeria will be a false dream. The contemporary modern design has also not achieved much in many parts of the country except in the state capitals. These capitals were all designed during the colonial administration. Therefore do not bear any semblance to modern innovations. Lagos is one out of the 36 states that goes beyond exception in terms of design nevertheless, the designs emphasise infrastructural development and do not in agree with population growth and characteristics. Lack of design plans that consider the low-income earners. 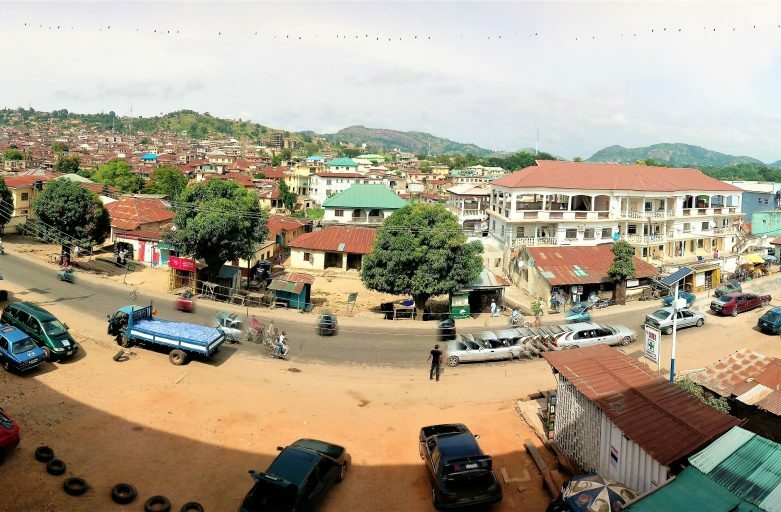 By oral design, planners talk about planning with the people, in reality, there is nowhere in Nigeria where the low-income earners are included in city designs. Poor minimum wages. Nigeria is significantly 65% rural. Low income and poor management of funds significantly exclude the majority of the population from planned areas. Inertia: the fear of change from the traditions and culture of the past, the fear to learn from mistakes while adopting the ground-breaking techniques and poor education including the leaders hinders planning designs and exclude innovative ideas. lack of political will, vision statement and goal of the Nigeria that we actually desire to see. The question, therefore, is: What is the Nigerian dream? What is the dream of Nigerian cities? In conclusion, many cities in Nigeria are the result of spontaneous individual effort and collaboration. planned development have not only denied low-income earners access to planned areas, it also excludes them. the result is informality as seen in every corner in the country.